Part of our role is to help pensioners and former employees stay in touch with each other. 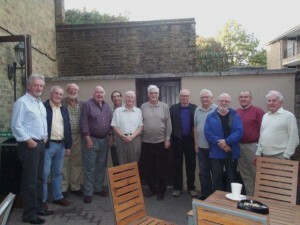 If you drop us an email at batouchdown@baclubs.com We will be happy to publish information about any reunion you are planning, wherever it may be! The next BA CLUBS FORMER STAFF REUNION will be held in 2018, watch this space for the date and further details. See News / Touchdown events page for photos and report from the 2016 Reunion. The cost is £28 per head including a private dining room and bar, three course meal and a limited amount of free beer . The hotel is equidistant between Heathrow and Gatwick at East Horsley on the A246, please block off the date in your calendars now so that we get as many of the 1967 group as possible together for this our final reunion. Call +44 (0)1483 280 503 to book & state that you are attending the 50 Year Apprentice Reunion. The Heathrow Model Airliner Club meets 6 times a year on the 2nd Wednesday of January, March, May, July, September & November, venue the Oak Farm Library, Sutton Court Road, Hillingdon UB10 9HP, start time 7 pm and finish at around 9.30. 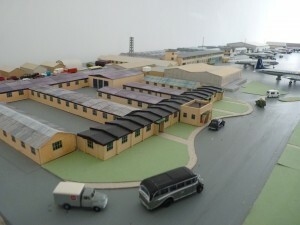 Come along to see the model displays & airport dioramas, to buy, sell, or swap items, or just mingle and chat with other enthuiasts … although this is not a commercial event there are small tables available for those who would like to lay out their items for display or sale.